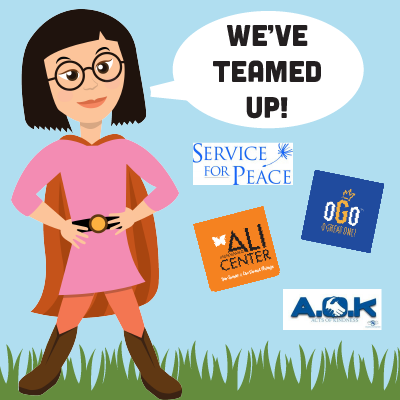 GGC Joins forces with Service for Peace and OGO JAR. Global Game Changers®, through a CNCS Service For Peace Grant, created a custom GGC Ignite Good!® MLK Day lesson of peace, kindness, and service to honor the legacy of MLK. 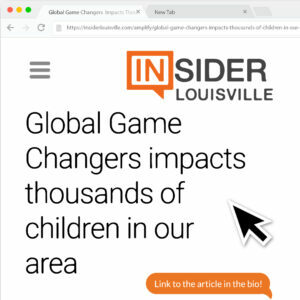 The lesson reached over 450 elementary school age children in Louisville, KY who participate in Global Game Changers intentional out of school time programming through the YMCA of Greater Louisville Child Enrichment Program and the GGC In-Residence Expanded Learning Program at the Muhammad Ali Center. The GGC MLK Day lesson started at the afterschool program at the Muhammad Ali Center to honor Martin Luther King, Jr. and Muhammad Ali’s birthday, by introducing an OGO J.A.R. (O Great One Jackpot of Acknowledgement and Recognition) Peace Lesson. 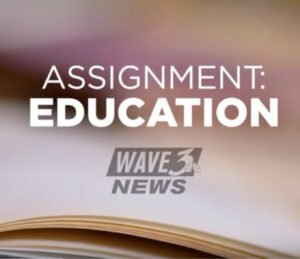 The lesson focuses on service, kindness, and recognition and teaches children how to celebrate members of their community. It also uses the OGO J.A.R. to demonstrate the importance of helping people know they are worthy of love, rights, and admiration. It is a way for young children to cultivate a connection to respect for others, learn to acknowledge and express their respect and admiration, and serve their community. We have created this page on the GGC website to spotlight this lesson, share the work of the kiddos who participated, and honor Dr. King, Jr. by promoting service and kindness year round. OGO (O Great One!) is a consumer lifestyle brand on a mission to turn the world on to the awesome power of recognition. OGO was founded in May 2016 by David Novak, acclaimed co-founder and former CEO of Yum! Brands. The company inspires people to harness the power of recognition to remedy what David has dubbed a “global recognition deficit” – the shortage of recognition – whether at work, home or in people’s personal lives. To start a movement and address this recognition deficit, OGO provides resources that make it easy for people to express recognition in a personal, meaningful way. The OGO J.A.R. (Jackpot of Acknowledgement and Recognition) can be filled with handwritten notes of love, encouragement and thanks to recognize others. Learn more at whosyourogo.com.